[Wiitalia] Dear Bertil, first of all, I’d like to thank you for having accepted the interview with Wiitalia.it: It is a pleasure for us to talk with an active part of the videogame development landscape, and it’s pretty obvious that the recent opening of console gaming toward the indie scene played an important role in shortening the gap between us (as consumers) and you (as developers), in many ways. However, before entering the matter, please introduce you/your team/your company. [Developer] I’m Bertil Hörberg, a solo indie developer from Sweden. I started my company in 2011, after having worked as a programmer at various game studious before. Now I do everything from art/animation to code and design by myself (except for music). [W] Which is the game you developed/are developing for the Nintendo eshop? Could you describe it a little bit? 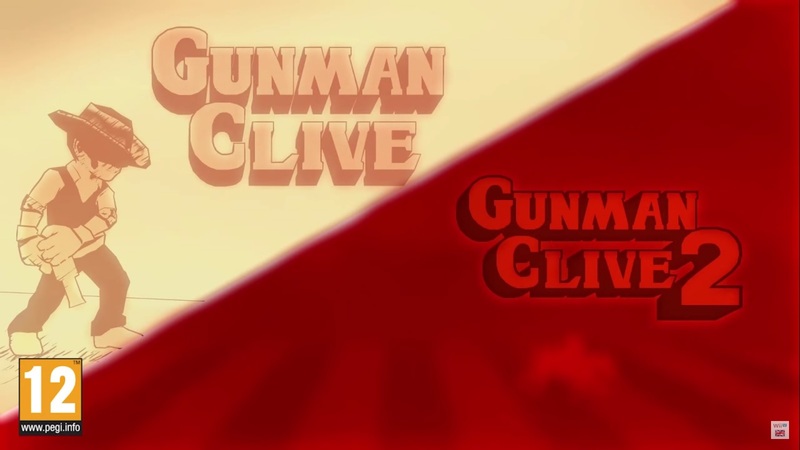 [D] I’ve made Gunman Clive 1 & 2 for 3DS and recently released both of them as Gunman Clive HD Collection on Wii U. The games are old school platform action games set in the Wild West, taking inspirations from games like Mega Man and Contra. [W] When did you started working on it? Was the decision to port it to/develop it for the Nintendo eshop there from the beginning, or something happened during the development phase, pushing you toward Nintendo? [D] I first started working on Gunman Clive in late 2011 (not counting a prototype I had done years before). It was originally developed for smartphones and first released April 2012. After the game saw a bit of success I decided I wanted to branch out and work with dedicated gaming consoles. At the time 3DS seemed to me like the easiest platform to get into and the one best suited for my games, plus I’ve always had a special love for Nintendo handhelds. I wasn’t sure at first if I’d do a port of gunman Clive or start a brand new game for 3DS, but as I tried porting my engine I found that Gunman Clive worked well on the hardware. [W] How was your first encounter with Nintendo about your game? Did you pitch it to them without prior talk and evaluation, or did you have the chance to discuss about it to them before submitting it? [D] I’d had a little bit of contact with Nintendo at an earlier job, but when I decided to become a 3DS developer I just filled in the developer application on the warioworld website. I didn’t have much contact with Nintendo before GC1s release, I mostly just worked on my own and sent in the assets and the forms required for the release when it was time. [W] What is your general sensation about Nintendo and the indie scene, based on your personal experience? Was your journey through their approval process globally positive or not? [D] Nintendo are very friendly towards indies these days, but I do wish the submission process was a bit more streamlined. There’s a lot of excel sheets to fill in and a lot of emailing back and forth to prepare a game for release, and you have to submit each region separately. [W] Which is the best thing/change Nintendo did in the recent past in terms of opening its developing environment to indie developers? Was it a technical decision (something like adapting/opening HTML5 or Unity “languages” to their consoles) or a policy one (something like let the developers free to decide their pricing/deal structure and so on)? [D] Probably getting rid of the office requirement for developers. It was a pretty weird requirement that shut out a lot of indies. 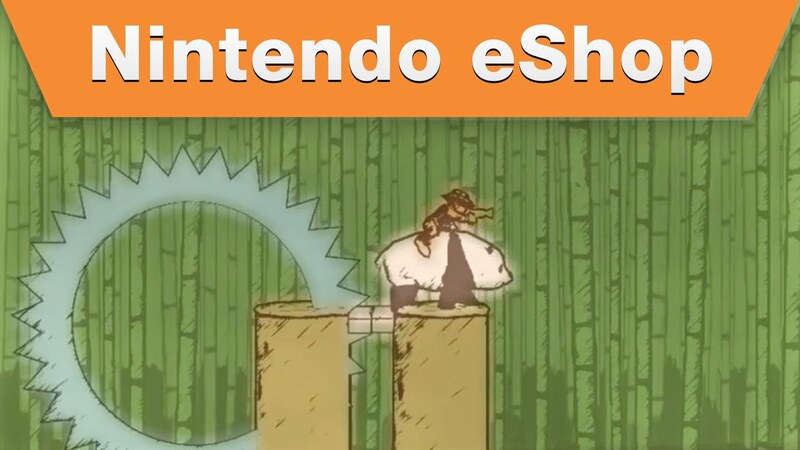 [W] How was your personal experience in terms of reception (critic, buzz and sales) with the eshop so far? There is this concept in the business that only Nintendo games sell on Nintendo consoles: is it true, in your opinion, also for the indie scene? [D] My games have been very well received on the eShop, and GC1 was a bigger success than I ever imagined. There’s a very different response when you release something on the eShop than on the AppStore or Steam. I don’t think I’m competing with Nintendo first party games. They have the biggest releases on their systems, but they only have a handful of big releases every year, so there’s plenty of room for smaller games. My games are more like snacks between the main courses, and the big Nintendo releases help keep people interested in the platform. [W] Did Nintendo actively supported the promotion of your game? Maybe even just with a good management of the Nintendo eshop front page, if not with a proper indie initiative? We have recently seen Bundles/Nindies@home demos and other initiatives keen to promote the eshop dedicated product. [D] Yes Nintendo has been very helpful, I’ve received a lot of good exposure on the eShop front page and they’ve shown my games on events, included my trailers in their E3 package, and shown footage in Nintendo Directs. For someone who’s as bad at PR and marketing as I am, it’s been a great help. [W] What do you think about the recent deal for an officially licensed Shovel Knight amiibo? From a “PR” perspective, it was a huge announcement. Are you interested is something similar, or do you see it as a positive thing in any case for the “Nindie” scene? [D] It’s really cool that the first third-party amiibo is from an indie game. Personally I’m not very good with marketing materials and merchandise though, so getting my own amiibo not something I’m really aspiring to. [W] I’d say that it’s safe to assume that the size of your developing team is way smaller than a “normal” group of developers usually working on a videogame for one of the established companies out there. Which is, in your opinion, the main difference between your workflow and the practice inside one of the blockbuster companies out there? Is it the creative freedom? [D] I work alone, so yes it’s quite a lot smaller than most developers and very different from bigger companies. For me having complete control, responsibility and ownership of nearly every part of the game (only the music is outsourced) is important. I don’t want to be a small cog in a large machinery, nor do I want to be the guy who just tells other people what to do. I like the craftsmanship of game development and like to do a broad variety of different tasks. But of course, doing everything alone isn’t easy either. It takes a lot of time, and there are many areas of development where my skillset is lacking. Keeping up motivation and discipline when working alone on a project for over a year isn’t easy either, and that’s probably my biggest struggle. [W] Is there any new game you’d like to hint at for our audience? Are you working on a new eshop project? [D] I’m just now starting to think about my next project and nothing at all has been decided. Whatever it is, it’s likely to come to Nintendo platforms though. [W] Are you excited about the incoming “NX” announcement? Will it be a console you’ll be looking at for your games? [D] A new system is always exciting. From a development perspective though, I don’t really feel the need for new hardware yet; I don’t have the resources to do very advanced graphics, and while I’m excited to see what new innovations Nintendo are planning for the system, I’m perfectly happy with just a normal screen and a few buttons. [W] Any particular final message for our fans?